This article is the first of six to help newbies to Internet and Youtube by providing some quick start information about using Youtube to your advantage. From registration to uploading videos, you will find some answers to your most pressing questions in a simple and easy-to-follow way. These six articles do not go into great detail. They are designed to give newcomers to YouTube a basic knowledge of how to make and upload videos. More authoritative information can be found with a search and on Youtube itself. This article is the first of six to help newbies to Internet and Youtube by providing some quick start information about using YouTube to your advantage. From registration to uploading videos, you will find some answers to your most pressing questions in a simple and easy-to-follow way. These six articles do not go into great detail. They are designed to give newcomers to YouTube a basic knowledge of how to make and upload videos. More authoritive information can be found with a search and on YouTube itself. Let’s get started. You are welcome to view video clips freely at YouTube.com. But, if you want to become an active member of the community, you will first have to join. You can do this easily. 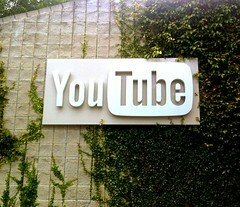 If you use the Web even minimally, registering with YouTube.com will prove to be a stress free experience. First, you will have to log onto the main YouTube.com sign up page. Visit: http://www.youtube.com/signup . Here you will see a screen. Again, let me assure you, registration is simple. Just enter your user name, set up a password, provide your e-mail address, and provide some personal details needed by the site. These will include your phone number, the country you live in, your gender, date of birth and a confirmation number provided by YouTube. YouTube values their customers’ privacy. While they may not share your personal information intrinsically, you should know that any content you upload to the site will be available to the public at large. They are owned by Google so your information is there for people to see. YouTube may use information such as your name and e-mail address if you choose to engage in activities offered by the site (like uploading your video clips). YouTube often sends cookies out to users computers, so visitors returning to the site can log in easier. You can always delete cookies on your computer, this has never been an issue for most people. The company will not send you marketing material or other advertisements without your consent, though they might send your e-mail address for administrative purposes, but they do not share your personal information with “third-party” companies. This means usually most of your information is protected.  You get to watch millions of videos presented by people throughout the world.  You can set up your section so you can share home videos with family members and friends that may live faraway.  You can connect with people around the world that share common interests, likes and dislikes.  You can have fun. marketer or small business owner. Note that after you register, YouTube will send you a confirmation note to confirm your e-mail address is legitimate and that you own it. Do not forget to confirm your email address or you will not be able to use the full functionality of the site. So if you haven’t registered yet, go ahead and do it now. It won’t take long.